Once I have bought bread and stopped at Casa della pasta for salami, bresaola, marinated artichokes, and other antipasti materials, I always stop here for patés and rillettes. 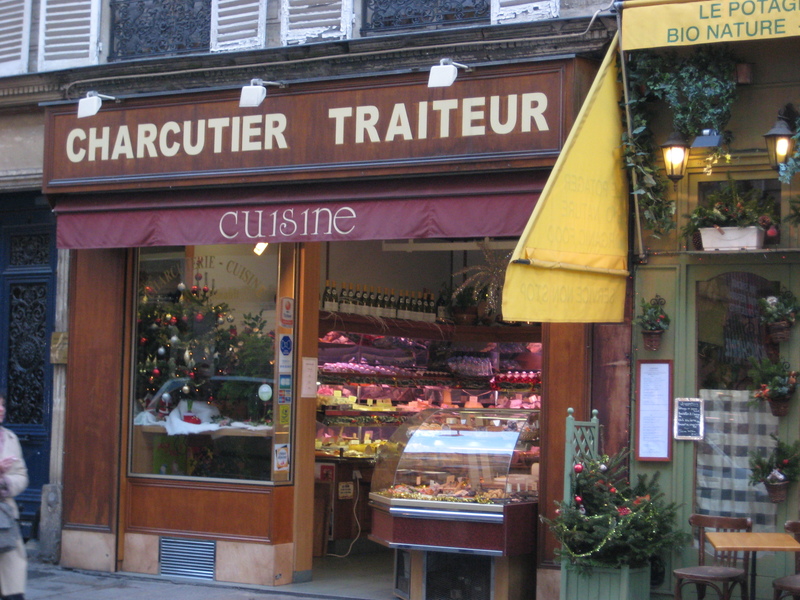 It’s located a few doors west of the good boulangerie on rue Rambuteau between rue de Beaubourg and rue du Temple. The goose rillettes and the terrine de lapin à pistaches are some of the reasons I come to Paris.